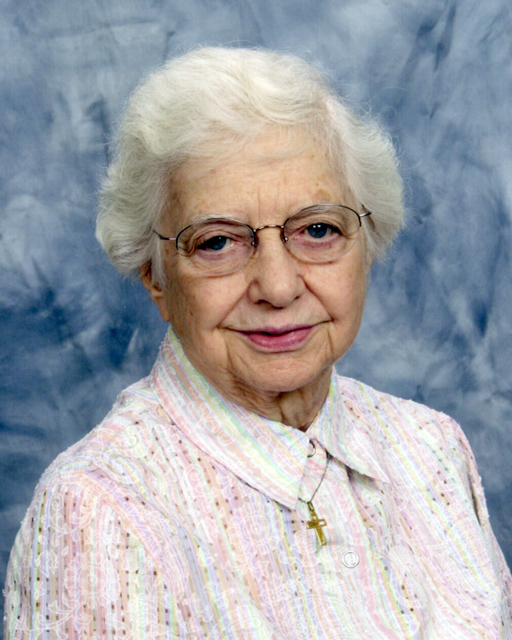 Sister M. Lisbeth Hartnett, I.H.M. Sister M. Lisbeth Hartnett, I.H.M., a member of the Sisters, Servants of the Immaculate Heart of Mary, for more than 75 years, died Aug. 8 at Our Lady of Peace Residence in Scranton, Pa.
Born Dorothy Marie in Beaverdale, Pa., she entered the congregation on Feb. 2, 1940. She made her temporary profession of vows on Aug. 3, 1942, and final profession on Aug. 2, 1945. She earned a bachelor’s degree in English/social sciences and a master’s degree in education from Marywood College, Scranton. A teacher and principal for 51 years, Sister Lisbeth’s first teaching assignment was at Our Lady Queen of Martyrs School, Forest Hills, 1942-48. She also served in schools in Upstate New York, Delaware, Maryland, North Carolina and Pennsylvania, and was the assistant to the administrator of the IHM Center in Scranton, Pa., 1993-2010. Interment was at St. Catherine’s Cemetery in Moscow, Pa.